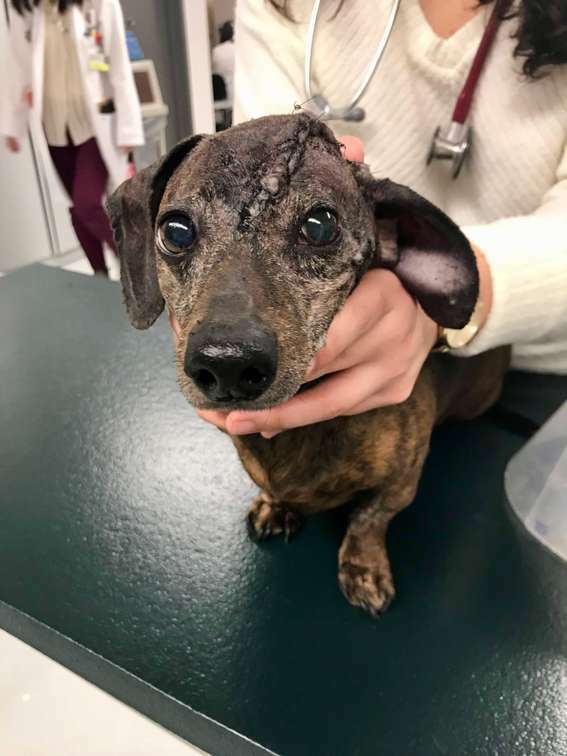 When a small bump on the head of one 9-year-old dachshund began to rapidly grow over several months, the small dog’s life took a turn for the worse. Patches, it turns out, was suffering from a multilobular osteochondrosarcoma tumor that had grown so big it was weighing down the dog’s head and growing into her skull, pushing dangerously hard on her brain and eye socket. 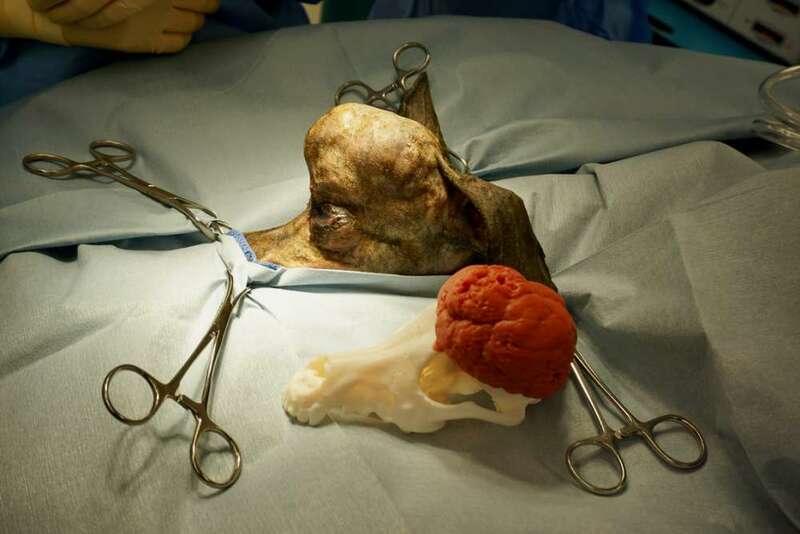 Normally, a procedure to remove the massive tumor would be timely, costly, and very dangerous for an animal required to be under anesthesia for such a long time. But a new veterinary procedure – and the first of its kind in North America – ensured Patches’ speedy recovery, and it could lead to a future treatment in humans. 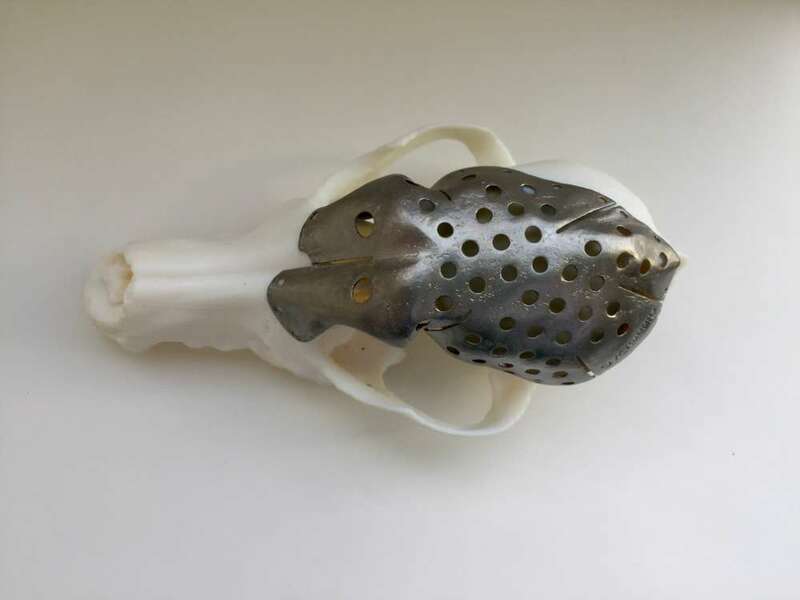 Once in the operating room, under normal circumstances, surgeons would first remove a portion of the dog’s skull, then assess the damage to subsequently shape a titanium mesh over the area needing replacement. In Patches’ case, veterinarians at the University of Guelph turned instead to modern technologies to make the extensive surgery quicker and safer. First, the team mapped the location and size of Patches’ tumor to then work with an engineer to create a 3D model of her head. From this model, surgeons were able to “virtually” perform the surgery before even stepping into the operating room. 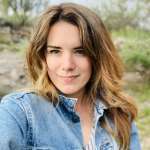 “I was able to do the surgery before I even walked into the operating room,” said Michelle Oblak, a veterinary surgical oncologist with the University of Guelph’s Ontario Veterinary College, in a statement. Oblak determined that about 70 percent of the top of Patches’ skull needed to be replaced, leaving a large portion of her brain unprotected during surgery. Based on this information, the team built a skull plate that fit to replace the part of the skull that would be removed during surgery. 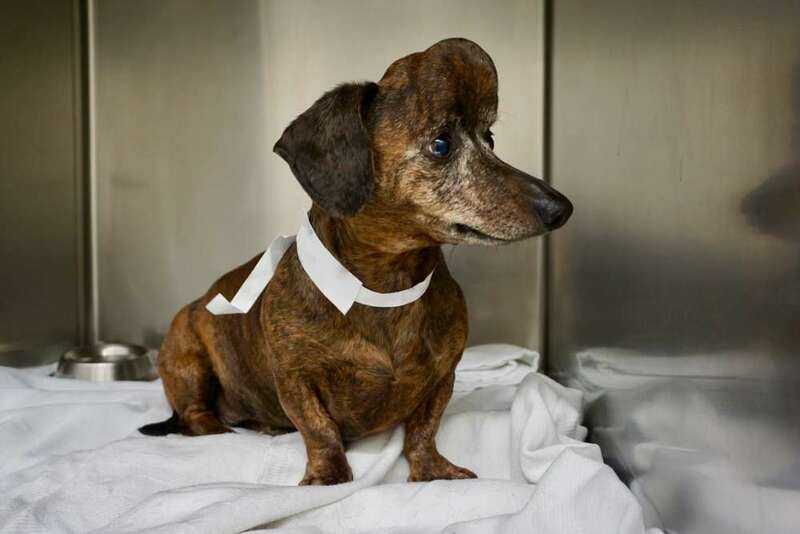 In all, the surgery lasted just under five hours and the wiener dog was “alert and looking around” just 30 minutes after. Oblak, who is studying dogs as disease models for cancer in humans, says this technology will eliminate the need to model replacements in the operating room, reducing the risks dogs face by spending more time under anesthesia. Someday, it may even be applied to humans. "The process that we used to plan and print this plate for Patches is the same method that can be used in a human in a similar situation," Oblak told IFLScience. "The information that we gain from the planning and printing process, as well as from the outcomes in animals, can be directly used to demonstrate the feasibility and validity of this method in a human patient." Patches is now cancer-free, but a week after surgery she reportedly slipped a disc in her back, paralyzing her hind legs. Oblak says the findings are to be published at the beginning of 2019.